FIT2FITE™ Fighting Moves to Funky Grooves. FIT2FITE™ is a harmonious marriage of martial art techniques rhythmically synchronised to the finest uplifting dance music to create an energy charged training experience. What are the benefits of FIT2FITE™? FIT2FITE™’s blend of fluid combinations, dynamic techniques and progressive muscular strength and endurance component, embraces the fundamentals of physical and mental fitness as well as building strength, stamina and suppleness. The emphasis on timing, technique, tension and intensity improves co-ordination and balance, develops core strength and increases cardiovascular fitness. These benefits are visually evident after a short period of regular attendance and committed, focused application. Developed for men, women and children of mixed ability and fitness levels. Average calories burnt in a FIT2FITE class (1 hour). More than any other class including Spinning, HIIT (High Intensity Impact Training) and other Combat based classes. Plus you actually enjoy FIT2FITE while you are burning those calories. Tones through, Tension, Technique, Timing and Strategic Intensity. Class tempo encourages the safe and correct execution of technique. Allows individuals to Increase Intensity and dynamism as they get fitter and more flexible. Martial Art template enhances Strength, Stamina, Suppleness, Balance, Speed and Co-ordination. Inspirational, uplifting vocal dance music tailored to practical flowing Fighting Moves. Emphasises practical,,simplistic combinations over complicated choreography. Opportunity to be assessed through four levels over four years against FIT2FITE Core Characteristics. Internationally acclaimed Martial Artists and Fitness Professionals evaluate Instructors and certify courses. Simple, versatile, Four Step Format progresses learning through three levels. Designed by an international coach, validated by a leading Sports College, endorsed by the National Karate coach. Free membership to Instructor Support network: Includes Technique Video Library, Social Media Interface, Merchandise and event discount, Marketing material and signposting to Funky Grooves. Annual half day Instructor Workshops to upskill and ensure maintenance of the Four Step Format. All Certified FIT2FITE Instructors can attend the flagship Summer Sizzler and Festive Frenzy events for Free. Register of Exercise Professionals points (REPS). Skills Active accreditation. One-off Annual Certification Payment. No Monthly Fees, No Premises Licence, No expensive equipment. "FIT2FITE is an ideal training system that combines the best of both fitness to music and karate specific techniques. It challenges and pushes any individual in the pursuit of a high level of fitness. As a National Coach I see it's value and incorporate it into my Ultimate Karate Fighters Bootcamp." 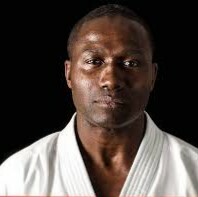 Dr Wayne Otto 6th Dan, 9 times World Karate champion, Norwegian National Coach. ""F2F has been a fundamental part of my training for years. The most enjoyable way to incorporate cardio during competition prep, with the added benefit of training functionally". Congrats to our new FIT2FITE Instructors:Kim Singh, Louise song, Hannah Baker, Tiana Irwin and Heather Thomas. Excellent perdormance from all.